Philip White doesn’t get nearly enough attention for his 4A play, but hopefully this video will right that cosmic wrong. He’s an incredibly talented up-and-comer, and with his skill and style it shouldn’t be long before we see him start taking titles at some major contests. 2013 Singapore National Champion Sean Hung shows off some solid offstring play in this new video. 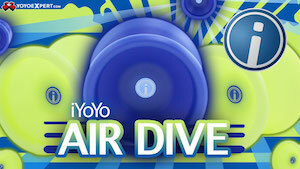 Yoyo used is the Eagle Eye by Japan Technology. EYYC 2014 is almost here…time to take a look at the top contenders in each division! 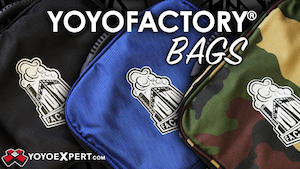 Today we’re going to take a look at the 4A (offstring) division. Offstring as a division is pretty thin this year, with only 13 registered competitors, but there is definitely some talent here! Lorenzo Sabatini is the returning 2013 EYYC Champion in the 4A division, making him the easy favorite to win this year. Lorenzo’s style is fluid and easy to watch, and his pacing is some of the most deliberate, mid-tempo play we’ve seen. He’s an instant favorite for crowds and judges alike, and we look forward to seeing what he brings this year. 2013 Czech National Champion Ondrej Schmid is another favorite to win the offstring division. His winning routine from Czech Nationals was a little shaky, but we hear he’s practiced up and ready to go clean at EYYC! Last year’s 3rd Place winner in the 4A Division at EYYC, Quentin Godet is definitely a rising talent who has the skill to keep his spot in the Top 3…or maybe even take top honors! Bulgarian player George Stoyanov has a lot of potential, but just didn’t deliver on stage at EYYC last year. But he’s got some promise…maybe this year he’ll step his game up. Coming off a Second Place win at Hungarian Nationals, Norbert Jenei is hungry for a win! Already a top competitor at 14 years old, he’s got the speed and skill…but can he hit his routine clean? 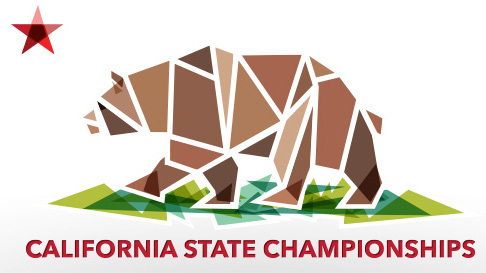 The 2014 California State website went live today, and it is extremely slick with a redesigned logo featuring the California Grizzly bear; with the live website came the opening of registration. With over $3000 in cash prizes, it will be well worth the $25 to enter. The event has been attracting tons of talent for years and has grown accordingly. This is an event you will not want to miss! The contest takes place on March 1st, 2014, in Sacramento, California. – Prelims will have 15 set songs to choose from, once you register; a list of songs is emailed to you for you to choose from. – 1A Championship Division will have a minimum of $1,000 CASH for first place. Good luck and get registered! The final regional competition of the 2013 United States National Yo-Yo Contest qualification process finished up on Saturday and we have the full results. The contest was a great success with an improvement in the judging and an increased attendance from the previous year. We will update the 2013 Semi-Finals for the National Contest, check here. In 5A, National Champion Tyler Severance took the seed and looks to defend his title in the next three weeks. Paolo Bueno, 1A juggernaut, who is heavily influenced by Tyler in 5A, took second and closed the gap from the last contests he has competed against Tyler. Finally, Shannon Jackson of Arizona, loved by many and a consistent name in 5A, qualified for Nationals and took the third place honors. 4A saw World Champion Michael Nakamura easily take top the spot despite a few (wind-aided) errors. Up and coming youngest Julian Grunauer took home second place with an extremely clean first half of his routine; with more and more experience, look for Julian to finish stronger with a clean second half in contests in the future. Finally, Stephanie Haight took home the third spot home and bolsters YoYoJams 4A roster and more young talent. 3A pitted #2 and #4 from last month’s 2013 World YoYo Contest against each other and Alex Hattori won this time around with a great routine. Continuing his trend of ultra clean routines, Alex has put together 5 minutes of near flawless yo-yoing and has had a strong 2013 after a rough 2012. 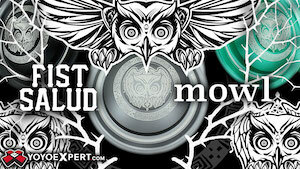 Look for Alex to be a huge contender going into the 2013 US National YoYo Contest. Patrick Borgerding had a relatively clean routine sans an extremely long switch out after an ugly knot. Yoshi Mikamoto edged out Newman Becker for third place. Newman has been steadily improving his 3A and looks stronger and stronger each year. National Champion Patrick Mitchell won despite an exploded yo-yo and a restart–testimony to his skill and he looks poised to defend his title this year. 2A veteran Yoshi Mikamoto took second honors and nearly edged out the National Champion. Finally, Yususke Moriki took home third place–everyone’s favorite jokester and always entertaining 2A player. This year saw the addition of the rookie 1A division, a trend that many contests are now adopting, which was a good opportunity for the next generation to get on center stage. It is always awesome to see how fast everyone is improving and growing! Anthony Rojas. Look out. He is a clean three minutes from being the US representative at the 2014 World YoYo Contest in Prague next year. A beautiful display of control and innovation with a hint of artistry and even a bit of swagger (brush your shoulder…). Anthony is a definitely the biggest crowd favorite in the US–last year at the National Contest when Anthony switched out there was an audible sigh of sadness from the crowd. In second, 4A Champion Michael Nakamura proved he should be considered a threat on all fronts. He has improved drastically even since Worlds and will make a run at qualifying again for the finals after his finaling at Worlds. Finally, Paolo Bueno took home third with yet another extremely innovative routine with his (becoming) trademark 3D tricks. He continues to improve and will certainly be a threat for the 2014 World title after a very strong year this year. Thank you for a great event and see you next year! Hiro from Kitty String posted this great video of Duncan Crew offstring superstar, Sean Perez! The interview portion is all in Tagalog, but if you don’t speak it you can skip ahead to 2:17 for the beginning of four minutes of outstanding yoyoing from Sean, who is a 6x Philippine National YoYo Champion. 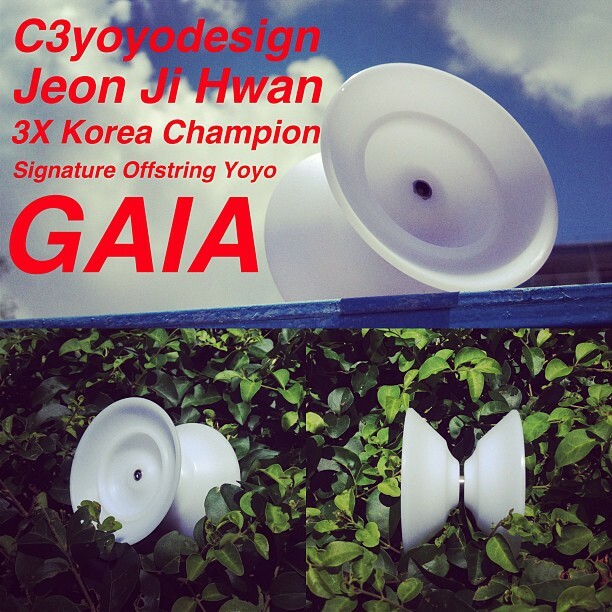 Introducing GAIA, the signature offstring design for 3X Korea Champion Jeon Ji Kwan! When we first asked Jeon Ji Kwan about his dream 4A design, he mentioned “speed, power spin, floating time, quick regen, and finger spin”. After number of prototypes to fit his requirements, he proved GAIA is his dream design by capturing his 3rd Korea Championship! There will be a limited pre-production release of the C3YoYoDesign Gaia at Japan Nationals and Malaysia Nationals this weekend. Slusny.net just dropped a really fun video to promote the YoYo Empire Nimbus offstring yoyo, featuring Petr Kavka and Zdenek Hybl. Jeon Ji Hwan, from the South Korean C3YoYoDesign team, just won the 4A division at the 2013 Korean National YoYo Championships…and right before the contest, C3YoYoDesign dropped this year-old video of him from their archives. And today we got a brand new video from Jeon! It’s great to be able to see his progression as a player both in tricks and style.